Benedict XVI’s final magisterium Pope Francis, how are his reforms proceeding? Pope Francis’ reform is a pastoral one. This is how Bishop Marcello Semeraro describes the steps for Curia reform in an article penned for the Italian magazine “Il Regno”. It is the second time that Bishop Semeraro – who serves as secretary of the Council of Cardinals – publishes an article on this magazine to explain the criteria of the reform. He does so when it is time to set a milestone and explain the work done so far. Bishop Semeraro explains all the most recent moves of Pope Francis with the pastoral concern criterion: from the establishment of a Third Section of the Secretariat of State specifically for the Holy See diplomatic corps, to the Magnum Principium, the Pope’s motu proprio that gave more responsibility to bishops for the translation of liturgical texts. Bishop Semeraro also takes that perspective to explain the work of the Pontifical Commission for the Protection of Minors, that is intended to improve the victims’ pastoral care. Many of the most controversial actions by Pope Francis can be understood under the pastoral criterion. The joint declaration issued with Moscow Patriarch Kirill in Havana on Feb. 12, 2016, that was very much tilted to the Orthodox side, Pope Francis himself described as a “pastoral statement”. The Holy See – China deal on the appointment of bishops currently under study – according to those who are working on and supporting the deal – comes from the pastoral concern not to leave Chinese Catholics without guidance and bishops unable to do their work. And the choice of the countries the Pope visits, countries where God is needed or marginalized – just think about the trip to commemorate the Reformation in Sweden – is also to be read under this pastoral criterion. This key of interpreting Pope Francis’ reforms can lead to several conclusions. It is expected that dioceses will always be more empowered, as it is in dioceses that the pastoral concerns come to life. 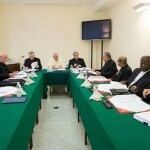 It is expected that the Curia will be “lighter,” but this will not be a cultural change: the Curia will be lighter in responsibility and political weight, and also in representation in the conclave, since the Curia will be ever more called to provide pastoral care for people who work in the Vatican. It is also expected that mediation will be a core activity in the Holy See diplomatic field, as the Vatican Secretary of State already hoped years ago – mediation is a tool the Holy See uses to to advance pastoral attention to Christians and others on different territories. While many of these reforms are happening or have already happened, it is not granted that all the expectations will be met. There are several reasons why. First of all, Pope Francis makes decisions personally, and tries to be informed about everything: such a centralized approach renders unlikely that bishops’ conferences will be given totally free range on main issues. Secondly, these reforms must be balanced with some institutional steps able to give weight to the choices and decisions of the Curia, as otherwise there would be no authority. Pope Francis seems to be aware of the need to give the Institution some strength in order to govern. Finally, the same pastoral concern of being receptive to the peripheries might result in peripheries always seeking some comfort and guidance from the center, and their requests may be overwhelming to it. This is how expectations and doubts overlap. It is no secret that this will be part of a wide discussion once Pope Francis and Curia members are back from the spiritual Lenten exercises. However, Bishop Semeraro himself gives some realistic overview about what the reforms will be like. Bishop Semeraro specified that the reform is based on three key words: tradition, innovation, and focalization on what is really needed. These three key words indicate that perhaps expectations on reform went too far. These few works indicate that some dicasteries are there to stay. Moreover: the initial idea to reform the Secretariat of State and to establish four different secretariats, totally fell through. The Secretariat of State is central again in the reform process, and the establishment of a Third Section within it expands its ranks, rather than depleting them. Bishop Semeraro did not mention the example of the Secretariat of State in his article. But he mentions the initial idea to establish an office of the moderator curiae to improve the curia organization. He writes that the idea was abandoned because the moderator curiae was a figure closely associated with the diocesan Curia. This explanation indicates that the Curia reform is not meant to turn the Vatican into a grand parish. “Focalization” is interchangeable with the word “simplification”, according to Bishop Semeraro. And he notes that this simplification took place with the establishment of the dicasteries for the Promotion of Integral Human Development; and Laity, Family and Life, that in the end merged former dicasteries. It generally means a new set up for the work flow, certainly needed after 30 years of application of the Pastor Bonus, the Apostolic Constitution that regulated functions and tasks of the Curia offices. Bishop Semeraro’s second article on the Curia seems to turn off any revolutionary interpretation of Pope Francis’ work. Looking at the two articles as two parts of the same argument, one can understand the discussion taking place. The first article spoke of the idea of a reform while walking, and offered the example of the names of the dicasteries: not Congregations or Pontifical Councils anymore, but simply dicasteries, to consider all of them on par. The article responded to the general criticism that the Curia reform was not following a comprehensive project. The article also signaled a change in the self-perception of Roman dicasteries. This second article tries to provide a framework of the reform. In the end, Bishop Semeraro acts as a normalizer. His message is: things are changing, but this does not mean that the Church is sidelining tradition or dismissing the work done until now. Is, this second article, a signal? What does it mean? These are the questions that Curia officials carry with them to the Lenten spiritual exercises. Since the very first year of his Pontificate, Pope Francis wanted the Lenten Spiritual exercises to take place outside of Rome, to allow the curia to be focused only on prayer and not on ordinary work. This is another example of the “pastoral reform”, according to Bishop Semeraro. When they are back, they will be called to keep on working on reforms. However, Bishop Semeraro’s article seems to quell expectations. 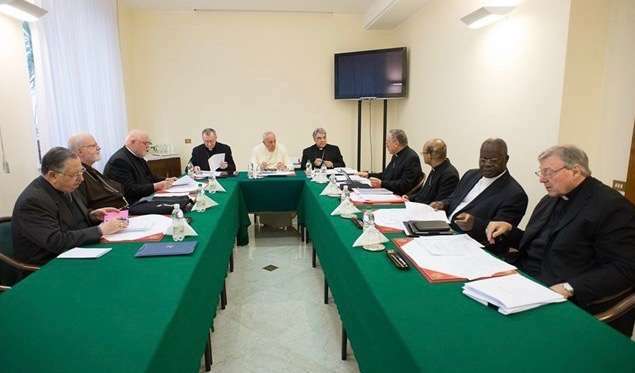 Some reforms will come about – soon, the Institute for Religious Works revised statues should be published with a Papal motu proprio, after both the Cardinal Commission and the Council of Superintendency met and discussed the issue. However, no profound changes must be expected, nor a document that will give these changes an institutional shape. For two reasons: with Pope Francis the Curia is no longer the center; and the Pope – as he explained in Evangelii Gaudium – aims above all at opening processes.